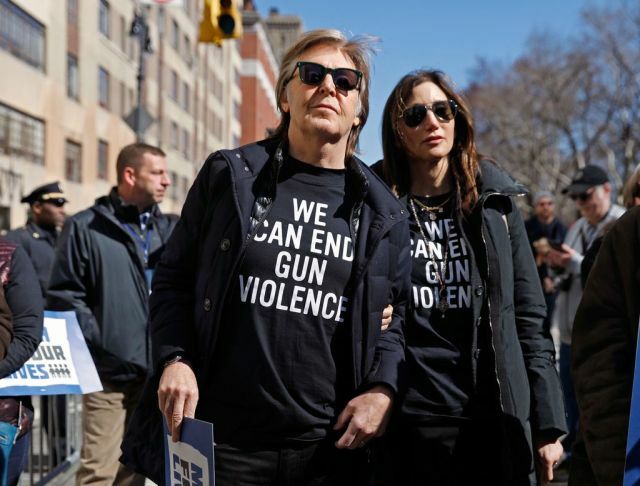 LOS ANGELES — Paul McCartney, Common, Miley Cyrus, Amy Schumer and other stars played supporting roles at nationwide gun-reform rallies dominated by teenage survivors’ emotional speeches. 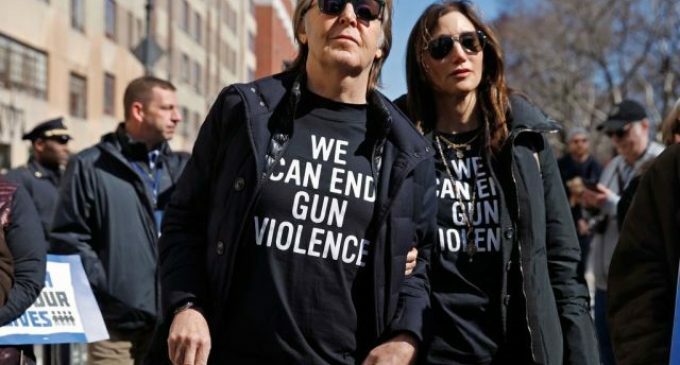 Hudson, appearing tearful as she concluded her appearance, was backed by members of a Washington choir and survivors of the Feb. 14 Parkland, Florida, high school shooting. Students from the school led rallies attended by hundreds of thousands of people in the nation’s capital and other U.S. cities, including Las Vegas.